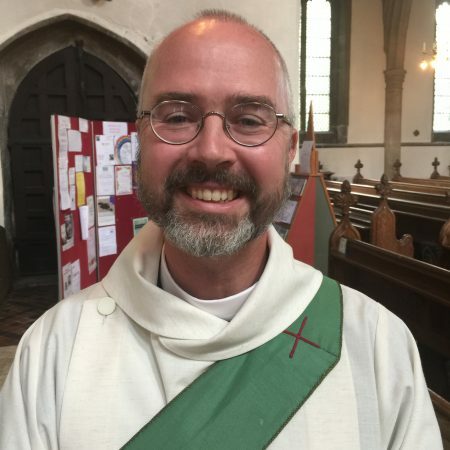 Revd Iain Osborne arrived in Oakham in June 2017 with his wife Susan, and children Mary (17) and William (19). Susan and Iain both did degrees in literature, and his first love was Victorian novels. He has also studied economics and politics, and worked for over twenty years at making markets work better for consumers (mainly in the infrastructure sectors – phones and internet, power and gas, water, sewers and airports – also health-care). (Fear not, he has also studied some theology!) He likes to read, to make things (embroidery, pottery), to grow things, and to cook. He and Susan are both Mancunians by birth, but Iain grew up in Leicestershire, and they have raised the children near Market Harborough (with short periods in Brussels and Ireland).